Coffee is like nicotine hit for those who need it each day. But as with most things, as the saying goes, everything in moderation. Adelaide has developed a very discerning coffee culture. A café can stand or fall on the quality of its coffee. There are chain outlets, but more and more boutique specialty coffee houses opening. Now Adelaide's premier five star hotel is stepping into the market with its very own coffee experience. For a long time the very distinct flavor of coffee has been overlooked in establishments offering the sought after high tea experience. Tea lovers have been well catered for. Adelaidians can now enjoy the combination of a high tea, with a love for the fine coffee experience. Adelaide InterContinental have been serving High tea or afternoon tea for the last four years. To build on this success, the InterContinental has now launched Adelaide's only High Coffee. The High Coffee experience promises a true coffee journey. From the Arabicas of South America to the fine Robustas of Asia. Complemented with the exotic flavours of Stefano Manfredi's signature blend, Espresso di Manfredi. The high coffee comes with an array of savouries, a finely crafted sandwich selection and delectable sweet options. Each course is perfectly matched by our talented baristas with a unique coffee creation. The menu will have coffee lovers drooling. Enjoy High Coffee in The Atrium Lounge for $59 per person. 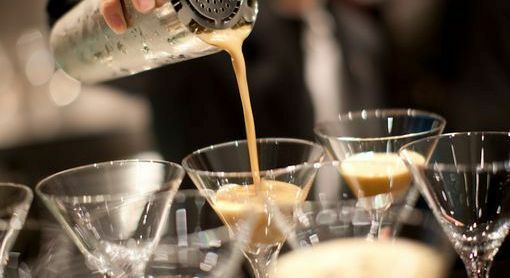 This includes an Espresso Martini upon arrival, Café Freddo and your choice of coffee or one signature café corretto. When: High Coffee is available from 12 pm daily until 4 pm in The Atrium Lounge. I love high tea but I do love my coffee too. Something to try!